Why go through the hassle of dressing up when you can spend Halloween at home, surrounded by candy wrappers, and ignoring the parade of trick-or-treaters on their way to bother someone else? Think of all the extra time you’ll have to enjoy the comforts of Revelation Online, whilst everyone else is out in the rain terrorizing old folks and accelerating tooth decay. Don’t worry, you don’t have to miss out on any trick or treating by staying in, thanks to our resurrected Trick or Treat page! Just click on a door to find out if you’ll be winning something naughty or nice for your web inventory. 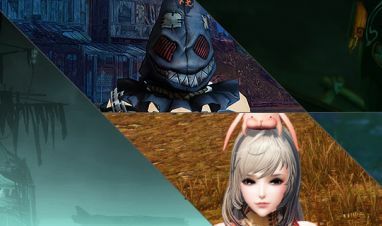 We have everything from Spider Queen Sludge Runes to Scarecrows and from Nether Dragon Wings to Ghostly Chamber mounts up for grabs - you just have to pick the right door at the right time! Our spooky butler isn’t very spritely at answering the door, so he’ll only be responding to your clicks once every hour. However, he’ll be milling about from October 25 until November 2, 23:59 CET (03:59 p.m. PDT), after which our prize portals will be boarded up for another year. 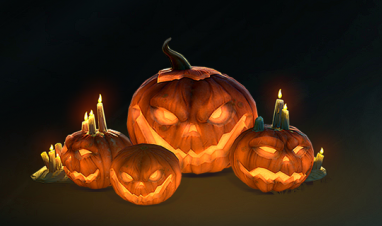 20% extra Aurum on top-ups and all manner of Halloween goodies at a whopping 35% discount, yours for the taking!